If God is transcendent, how can human beings speak meaningfully about him? For centuries philosophers and theologians have asked whether and how it is possible to talk about God. The shared answer to this question goes by the name of "analogy," which recognizes both similarity and difference between the divine being and human language. In the twentieth century, Karl Barth, Erich Przywara, Hans Urs von Balthasar and Eberhard Jüngel explored this question in new and controversial ways that continue to shape contemporary debates in theology. In The Analogy of Faith: The Quest for God's Speakability, Archie Spencer examines the problem of analogy in its ancient, medieval and modern forms. He argues for a Christological version of Barth?s analogy of faith, informed by Jüngel's analogy of advent, as the way forward for Protestant theology in answering the problem of God's speakability. "In this engaging volume, Archie J. Spencer explores the controverted issue at the heart of the enterprise of theology—the issue of analogy. The book offers not only a discerning conversation with Augustine and Aquinas on analogy, attending to both their philosophical predecessors and their complex reception histories, but also a thoughtful interaction with more recent work on analogy from Karl Barth and Eberhard Jüngel. The result of this series of studies, as well as of the related exegetical labors, is Spencer's own constructive proposal, setting forth a new, resolutely Christocentric understanding of analogy along the three complementary dimensions of participation, performance and parable. This is rigorous and generative Christian dogmatics of an impressive order and deserves to be widely attended." "The question of analogy leads to the heart of the very possibility of theology. Spencer invites his readers to consider afresh the long tradition of reflection on analogy with a view to a contemporary restatement of both the classical problem and its possible evangelical solution. Drawing upon Barth and Jüngel in particular, he argues convincingly that faithful talk of God can and must be graciously suspended from the living and eloquent reality of Jesus Christ. Spencer here makes a substantive contribution to a fundamental debate in Christian theology." "Years of careful research stand behind this book, which is distinguished by its strong thesis, bold argumentation and close reading of sources ranging across the entire history of theology. Scholars interested in the doctrine of analogy, or the relationship between Christology and theological method, will find much of value here, as will those interested in Thomas Aquinas, Karl Barth, Eberhard Jüngel, or the relationship between Protestant and Catholic theology." "Spencer's provocative thesis maintains that Augustine's undue reliance on the Neoplatonic tradition led most of the subsequent Christian tradition astray. Boethius, Pseudo-Dionysius, Anselm, Peter Lombard, Bonaventure, Thomas Aquinas, as well as the later Thomist tradition, all were beguiled by a totalizing metaphysical epistemology that was alien to God's self-revelation in Christ. Spencer's penetrating critique, along with his clarion call for an alternative, Christological analogy of faith, is truly deserving of the intense discussion it is bound to evoke." "A question which we don't often stop to think about in theological discussions is whether or not it is, in principle, possible to speak of the divine. 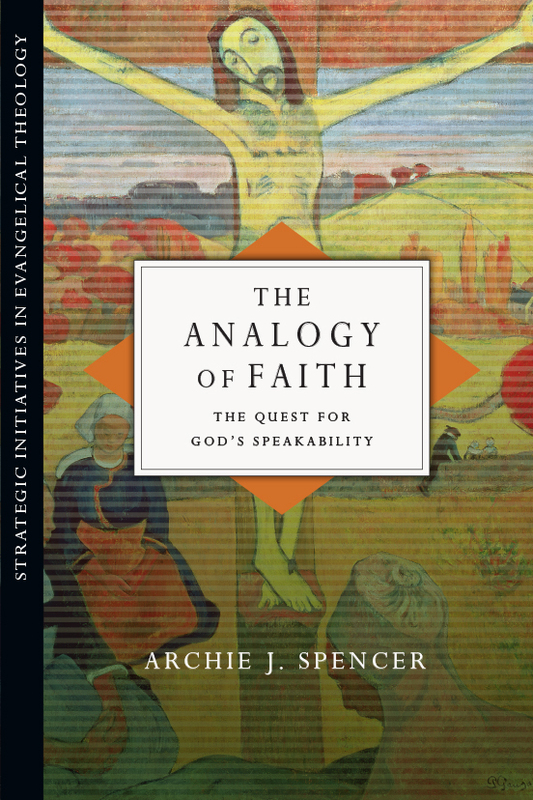 Archie Spencer's book, The Analogy of Faith, asks just this question and offers an in-depth analysis of various approaches alongside proposing a model for speaking about God. . . . It is a deep work that demands much reflection and consideration. It is the kind of seminal writing to which one will constantly return as one thinks about the topic discussed. I can say that I learned a great deal from the book, and had my mind stretched as it hasn't been stretched in some time. I recommend it highly." 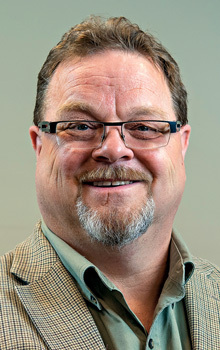 Archie J. Spencer (ThD, University of Toronto School of Theology) is associate professor of theology and John H. Pickford Chair of Systematic Theology for Northwest Baptist Seminary. A scholar, speaker, and theologian, he has spoken and taught at institutions all over the world such as Wycliffe College, MacMaster Divinity College, Università Cattolica del Sacro Cuore, Seattle Pacific University, Briercrest Seminary, Trinity Western University, Redeemer Pacific College, Regent College, and Associated Canadian Theological Schools. Spencer is a member of the American Academy of Religion, the Karl Barth Society of North America, Society for the Study of Theology, and is a founding member of the Western Institute for Theological Studies. His research and publication interests include contemporary theology in the Western tradition and the theology of Karl Barth, Eberhard Jüngel, and Dietrich Bonhoeffer. He has also served as a pastor within the Pentecostal and Baptist contexts for over fifteen years.